It doesn’t matter what time it is the male Eastern Koel will do its mating call and it is incredibly annoying. It’s the type of bird call that has rhythm and no matter whether you hear it clearly or it came from distance the sound will get into your head, there is no escape. After hearing it for days your head will play tricks on you and you will still keep hearing it, even though the bird isn’t calling. I am kidding with that but having an Eastern Koel nearby is no joke. I have heard it at 5:40AM, Midday and even 11PM the Eastern Koel doesn’t care, its call should be classed as noise pollution. The Eastern Koel migrates to Australia in Spring (October) from South Asia, their arrival means the weather is going to heat up, mixed emotions on that one. Not only are its calls a nuisance the female bird leaves its eggs in other birds nests to be raised. Nature is odd and the Koel plays it cheaply. 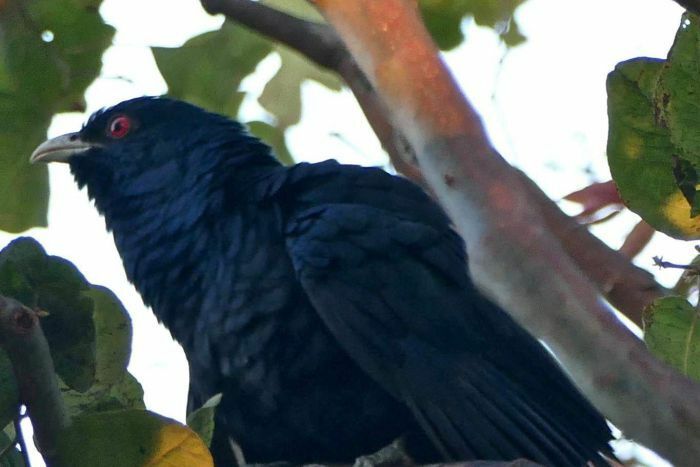 I’m not the only one to find the Koel annoying, a Google search shows its very much a common public enemy bird. I will gladly take any of the common native birds in its place.